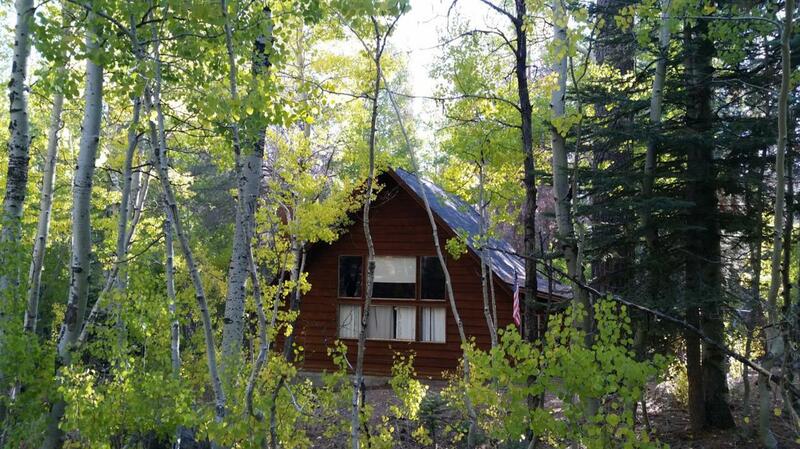 This rustic cabin is located at the end of a cul-de-sac with beautiful quaking Aspens throughout the property, making bbqing or just reading a book out on the deck enjoyable and relaxing! Two downstairs bedrooms have individual access to the deck. A rock fireplace in the family room adds warmth and charm. Big windows and vaulted beamed ceilings enhances the mountain experience! Second story holds a full bath, bedroom and sleeping loft area. Easy year round access with maintained roads. Listing provided courtesy of Jennifer Thompson of Southern Sierra Real Estate.